Recently, I had a client who was panicking over a new blog. For affiliates, who make their money selling other people’s products, using their own content to create the opportunity to make a sale and build a list, a lack of traffic is somewhat disturbing. However, just because a page has no hits, it doesn’t mean that it hasn’t been seen. In fact, it’s likely to have been seen by the one entity that could make a difference: the Googlebot. Not only that, but if it has been indexed, the message is probably getting in front of an audience -- even a limited one -- something which can come as a surprise for those new to keyword research and search engine optimisation. To help website owners, Google used to have a tool known as the GWT (Google Webmaster Tools) which linked Analytics to Search. 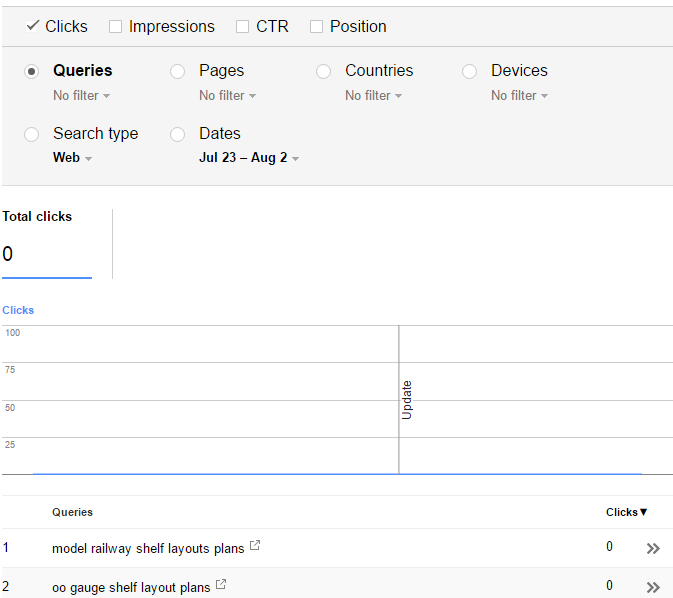 Since GWT was a bit of a misnomer, Google renamed it to Search Console. It does what it says on the tin: it is a website owner's view on search, from Google’s point of view. At first sight, it’s a bit worrying. There are clearly no page views, which means that there will be a CTR (click through ratio) of 0%. 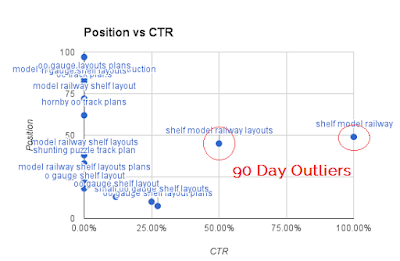 Usually, SC is used to track the effectiveness of keywords in terms of that ratio. Without it, clients start to panic. 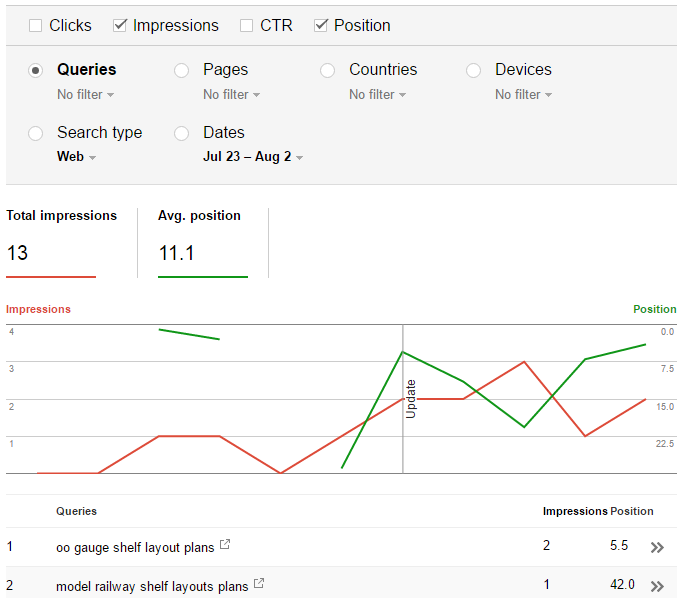 However, the Search Console also reveals some other interesting statistics which are a veritable goldmine for someone who helps webmasters boost their traffic on the back of strategic keyword management. What’s more, SC is also telling us for which specific keywords the Googlebot has indexed the content. Now, the question is -- are these the keywords that represent the content accurately? The analysis of this behaviour is that there are some parts of any market that will not only trawl through ten pages of results, but also still click on them if they meet their expectations. This is the so-called “long tail traffic”, and understanding that where today you get impressions, tomorrow you could be getting clicks can be something of a revelation. The First Keyword Research Strategy You'll Need! In fact, central to one of the traffic improvement modules that are used to boost results is known as Zero Traffic Keyword Fishing. The core idea is that you can create content that has no other purpose than to get Google, via the Search Console, to suggest keywords that have audience outlier properties. To do this, all you have to do is continue to create content, and let Google index it. Where the traffic improvement comes in is in leveraging something that Ted Nicholas calls “Magic Words” to improve the listing, and then checking to see if the CTR goes up. The CTR is a ratio of impressions (how many times the listing is displayed) against clicking through to your web site. Remember that we noted that an indexed page has at least the Title and a Summary (from the Metadata) displayed in the SERPs. You can get a view of that content through SC, using the Search Appearance from the main menu. 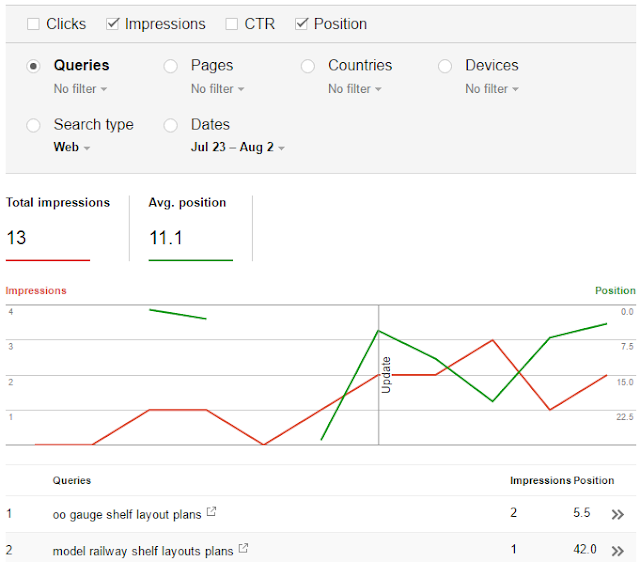 Specifically, under HTML Improvements, Search Console can point to exactly where modifications should be made to improve performance. After all, Google wants to get your valuable information into the hands of people who will benefit from it, as much as you do! By making sure that you get magic words* into the text you will have a material effect on the CTR. Beyond that, if you then tweak the page so that it is more relevant, and deploy social media sharing and backlink strategies you will improve SERPs, get more impressions, and, eventually, more clicks. Just remember to play the long game: content only remains relevant for as long as it delivers value to the target audience. *Ted Nicholas has lists of words that improve headline performance in his books, and it would be unprofessional of me to list them all here; however, three obvious ones are: "free", "how to" and, of course, "you".